While temperatures are starting to cool down across the nation, people in Florida can still take advantage of the warm weather by visiting these aquatic attractions. 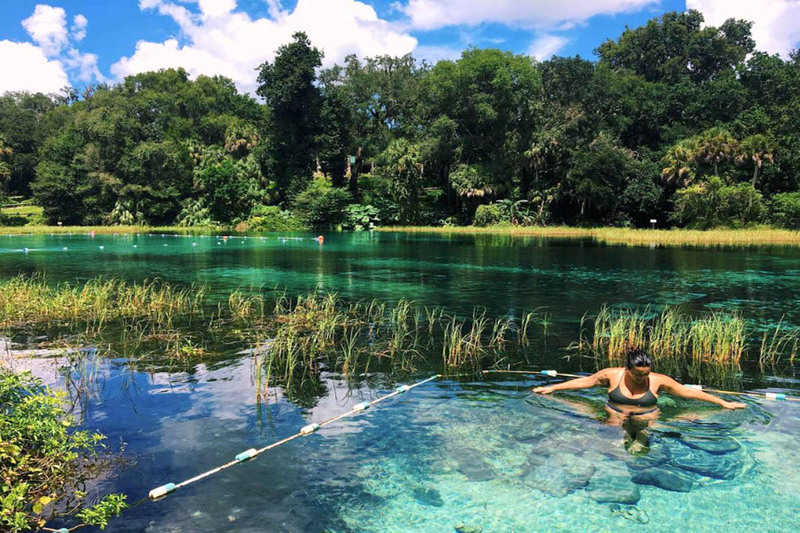 Alligators, oranges and Florida Man are among the many things the state is known for, but beautiful natural swimming spots are some of the best things the Sunshine State has to offer. 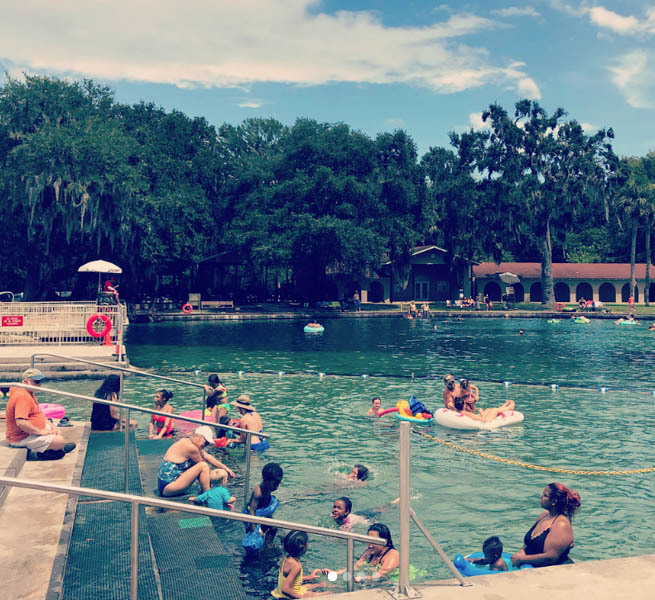 From the Panhandle to the Keys, there are plenty of places to take a refreshing dip, but you don’t have to travel far from UCF to find a great place to swim. Here are eight natural areas within two hours of campus that make for a perfect day trip. So put on your swimsuit, grab a sub and cover yourself with sunscreen before heading out into the water. Distance from UCF: 45 minutes to an hour; 45 miles. Kelly Park is a 355-acre public park in Apopka. Its clear, swift creek and cool waters make for a beautiful day going with the flow of the natural spring, which pumps an average of 26,000 gallons per minute and is a cool 68 degrees year-round. 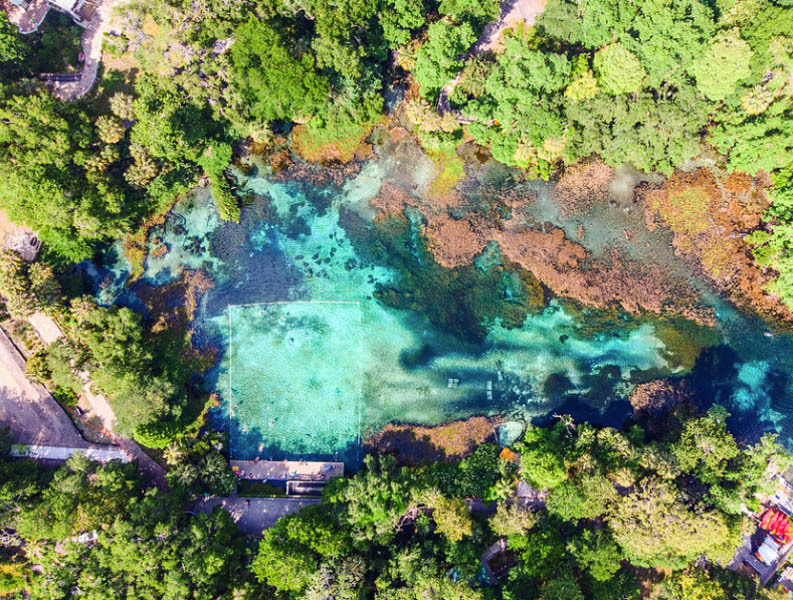 In addition to the springs, the park features nearly seven miles of hiking trails, swimming hole, camping sites, picnic areas, volleyball courts, playground and the river head for the 10-mile Rock Springs run that connects to Wekiva Springs State Park. Our advice: Get to the park early, as it often reaches capacity before noon. 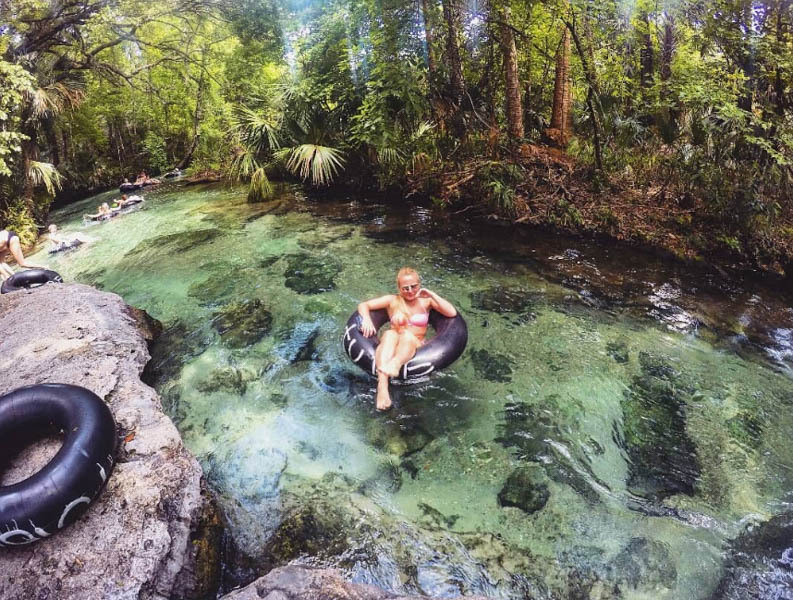 What to do: Rent a tube from a vendor outside the park before you arrive and relax as you float .75 miles down the stream or play around in the huge natural swimming hole. The run takes about 30 minutes, but you can get out at many stops along the way. Located near the Archie Carr National Wildlife Refuge in Brevard County, Melbourne Beach is home to the second-largest loggerhead sea turtle colony in the United States. Aside from sea turtle sightings, the location offers soft, white sand and bright blue water, which many surfers use to practice for the annual Founders Day Surfing Competition each May. Our advice: Bring a change of clothes and explore the nearby shops and restaurants that make up this beach community, which is the oldest in Brevard County. What to do: Try to keep up with the pros and hang 10 with your own board or you can rent one from UCF’s Outdoor Adventure Center before you go. 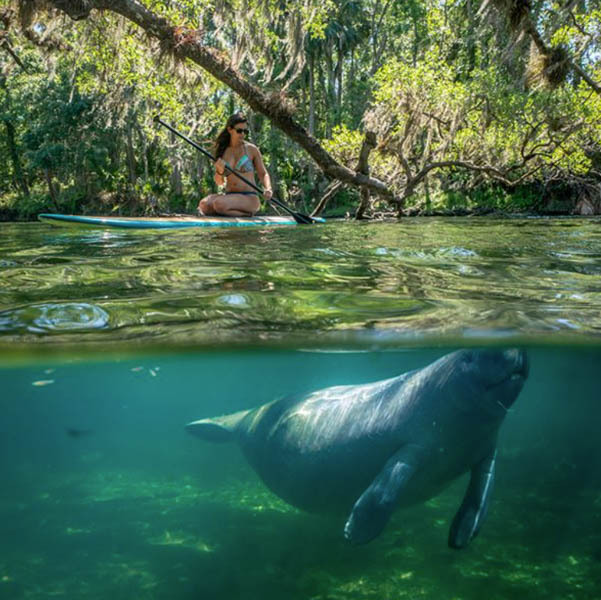 This west Orange City attraction is known as a popular manatee refuge, but the refreshing 72-degree water is an awesome location for humans to take advantage of too. Feel free to bring along snorkeling, scuba diving and fishing gear to use in the spring. Hiking the 3.6-mile Pine Island Trail is a great way to also bird-watch. Whether you opt for one of the 51 campsites, which welcome pets too, or a cabin rental, this is a quiet space that makes for a relaxing weekend getaway. Our advice: As exciting as it may be to encounter manatees, swimming with them is NOT permitted at Blue Springs. What to do: Rent a kayak, canoe or tube from the on-site concession stands and manatee-watch as you paddle or float through the water. DeLeon Springs State Park is a scenic getaway in Volusia County packed with cultural history and a variety of nature activities. 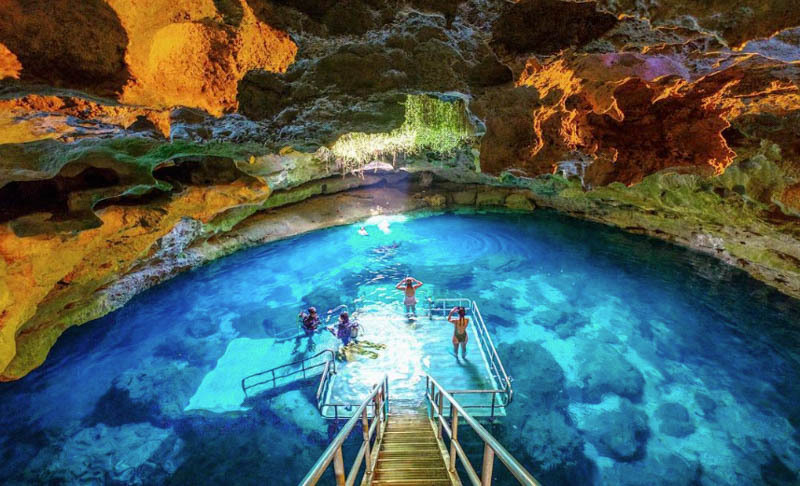 What was once home to native Mayaca people for 6,000 years is now a recreational swimming area with plenty of room for kayaking, snorkeling, paddle boarding, boating, boat tours, scuba diving and fishing. The park’s paddling trail offers 22,000 acres of lakes, creeks and marshes to explore within the Lake Woodruff National Wildlife Refuge. You can even hike the 4.2-mile Wild Persimmon Trail or stroll along the 1.5-mile paved nature trail to see a 600-year-old cypress tree. Our advice: Stop by the visitor center for an exhibit detailing the park’s history and to watch a home video of a water-skiing elephant. What to do: After taking a dip in the water, walk through the butterfly garden, which displays 500 plants that welcome butterflies and hummingbirds. Dunnellon’s Rainbow River features a small waterfall, multiple freshwater springs and abundant wildlife. This first-magnitude spring has multiple vents that push out 400 to 600 million gallons of 73-degree water daily. Jump into the crystal-clear 5.7-mile river for a swim, bring along a tube for a relaxing float or rent a kayak and paddle your way down. Our advice: The parking lot has limited parking and usually fills up by 10 a.m. on the weekends, so be sure to get there early. What to do: Pack your favorite snacks and lunch to enjoy a picnic on a grassy hillside before heading back home. 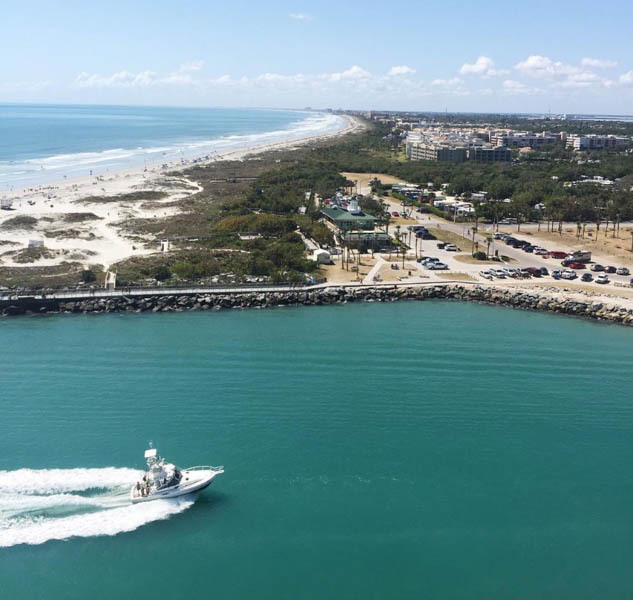 Jetty Park’s 35-acre facility, which is located in Brevard County, is a great space for enjoying the Florida sun. The park includes access to 4.5 acres of sandy beaches where you can to swim and use paddle boards, boogie boards and kayaks. The 1,200-foot fishing pier is equipped with running water and fish-cleaning station to help make it easier to carry your catch back home. There’s also small and large pavilion rentals that offer seating and charcoal-grill access, which make for an awesomelocation for a special gathering with friends and family. Our advice: When arriving, pay attention to the roads to avoid unnecessary traffic by staying out of the boat entrance lane. 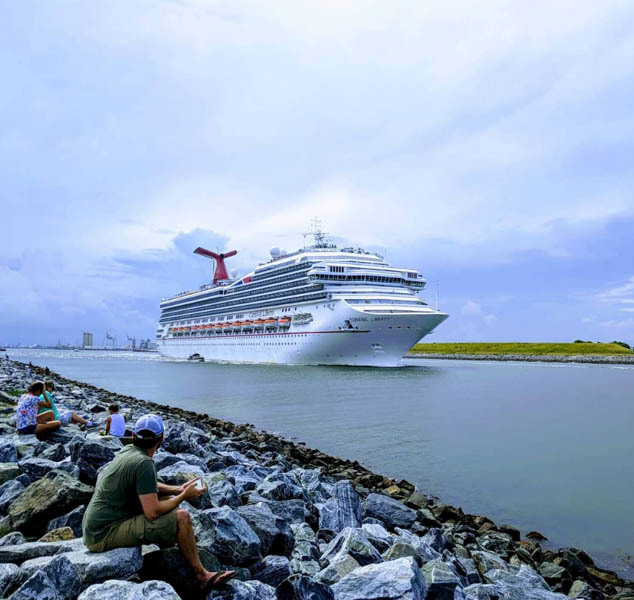 What to do: Check cruise and rocket launch schedules to make sure you catch a scenic departure during your visit. Although you can’t actually swim in the Banana River, it’s too cool a spot to miss! Located in Brevard Country and near Cocoa Beach, this waterway contains a diverse community of plant and wildlife, such as manatees, mangroves and 22 species of threatened or endangered animals. This destination is also popular for paddleboarding, which you can book a charter for here. Our advice: If you decide to take a boat out on the water, make sure to check the location’s rules and guidelines because there are specific regulations for where boats can be used. What to do: Grab some bait and a fishing pole as you try to catch dinner within the 30 acres of grass flats, canals and shorelines that hide redfish, tarpon and more. This prehistoric spring is hidden underground in a dry cave and is one of the most popular natural wonders in North America. The Williston city attraction’s water stays a cool 72 degrees all year-round, which makes it perfect for taking a break from the intense Florida heat. You can’t just swim in the water, but you can snorkel or scuba dive, and the proper equipment is available to rent on site. Many extinct animal fossils dating back to the Pleistocene Age have been found inside the cave and are on display at the University of Florida’s Museum of Natural History. Our advice: Don’t miss a great photo op! Be sure to stop for a picture under the lush greenery that hangs over the water from an opening near the entrance. What to do: Rent some snorkeling or scuba gear and check the cave’s walls for ancient artifacts. Entrance fee: None, but you will need to bring your UCF ID to get into the pool area. 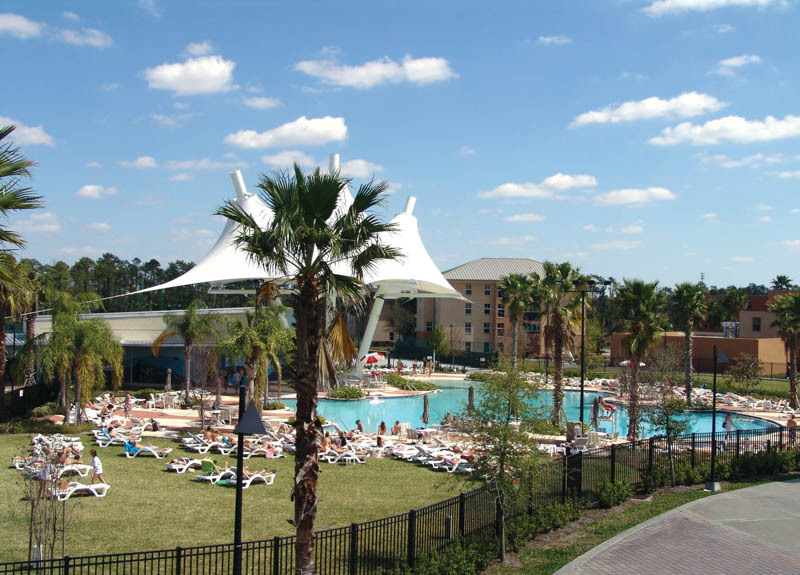 No this isn’t actually a natural swimming spot, but if you can’t make it out to a park or beach UCF’s Leisure Pool is still a beautiful place for a refreshing dip. Located near the Recreation and Wellness Center, the pool is open seven days a week from 11 a.m. to 5 p.m. There’s lots of pool-side chairs you can lay out and relax on while you study or work on your tan. If you’re really looking to unwind, there are also hammocks dotting the lawn around the pool area. For those who still want a kayaking or paddle boarding experience, check out the campus’ Lake Claire. Our advice: Bring along a ball and challenge your friends to a friendly game as you usethe installed basketball hoop that sits over the edge of the pool. What to do: Keep up with campus event listings to find pool parties, like the one they put together for Pegasus Palooza, throughout the year. Maia Dougthie ’18 is a broadcast journalism graduate from UCF with a minor in political science. She is pursuing a career in wildlife filmmaking and photography and is currently headed to Zaragoza, Spain, to teach English while pursuing work in travel photography and freelance journalism. She shares her adventures and nature photography on Instagram at @maiaembarks or @maiadoughtie.